Boston-based “alternative folk/bluegrass” band Crooked Still emerged at the edge of the newgrass movement just after the turn of the century, and much of their subsequent success is due to the talents of the group members and founders: banjo wizard Dr. Gregory Liszt, double bass man Corey DiMarino, and breathy, emotive singer Aoife O’Donovan. But if their star rose quickly, it was thanks in no small part to a then-novel approach to traditional song, one which placed master cellist and all-around oddball Rushad Eggleston’s innovative, improvisational style and high-energy stringplay at the center of what was otherwise a sparse yet nuanced tradfolk stringband sound. And rise it did. 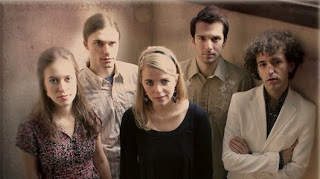 By 2004, the band was playing mainstage sets at both Newport Folk Festival and Falcon Ridge Folk Fest, where their debut album Hop High outsold all competition. Two years later, the release of Shaken By A Low Sound brought us more of the same, cementing their reputation in both the folkworld and the bluegrass circuit as a band worth watching. And then, last year, Crooked Still announced that Rushad would be leaving the group. Many of us in the folkworld feared that this would be the end of Crooked Still. 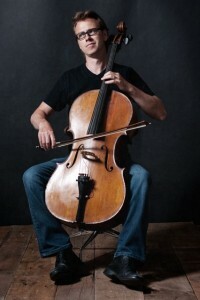 Long before Ben Sollee’s avant-folk celloplay made him the darling of the blogworld, Eggleston had set the pace and standard for the cello as a contemporary instrument outside of the string quartet or orchestra setting, both through his work with Crooked Still, and as a member of several groups with master fiddler Darol Anger. Replacing Eggleston with another cellist seemed like a no-brainer for a group that had made their name trading on the interplay between Rushad and the other group members; adding another string player seemed like a safe bet, too. But would it be enough? Since their inception, Crooked Still has always handled traditional folk music exceptionally well, and this new line-up continues the tradition with aplomb, bringing new life to timeless songs. But where their previous albums leaned heavily on tradsongs such as Little Sadie, Shady Grove and Darlin’ Corey — songs made familiar, if not popular, by older generations of folk and bluegrass artists, from Doc Watson to Jerry Garcia — their new album Still Crooked, on folk label Signature Sounds, digs deeper than previous efforts, tracing the roots of traditional folk through other, more obscure carriers, such as Ola Belle Johnson and Sidney Carter. The result is a set of songs that sound both fresh and timeless, in ways that their previous efforts could not be without escaping their songs’ history. There’s also some surprises, here. Tristan Clarridge plays the cello with more subtlety than than Rushad did, but this only deepens the sound from where it was before. The addition of fiddler Brittany Haas brings a keening high note to the mix; in slower songs, especially, the higher stringsound rebalances lead singer Aoife O’Donovan’s breathy voice towards the sonic center of the Crooked Still sound, where once her vocals competed with the cello for prominence. The fuller setting brings out a side of Aoife as singer that is even better than before. The bigger sound that results is potent, and totally enveloping. Those who could not imagine Crooked Still without their founding cellist need not be concerned. More importantly, though, those who thought it was impossible to improve on the Crooked Still sound will be surprised. The “new” Crooked Still sound is more traditional, in terms of genre, but it is also simultaneously something more than it was, a stellar maturation of previous efforts. Nowhere is this more evident than in Low Down and Dirty, Aoife’s first original composition for Crooked Still, a classic revenge ballad with a twist that comes across as some of the best folk I’ve heard in ages. Still sharp, wielded exquisitely, the cutting edge of traditional folk music remains in good hands. Wanna hear it for yourself? You’ll have to buy the album for the originals, and the tradfolk; almost every song is a ten out of ten. But here’s a genuine label-approved Cover Lay Down exclusive, not one but TWO covertracks from Still Crooked, which hits stores next week: a wild, spunky take on an old Mississippi John Hurt tune, and a sultry, quiet public domain number with stunning backing vocals from Levon Helm’s daughter Amy, a fine musician in her own right. Plus a few older covertracks from Crooked Still’s earlier releases, to give newcomers a sense of their overall sound. Listen, and then run right out and buy Still Crooked to hear the rest. Or just come on out to Falcon Ridge Folk Fest this July, and see ‘em in person. 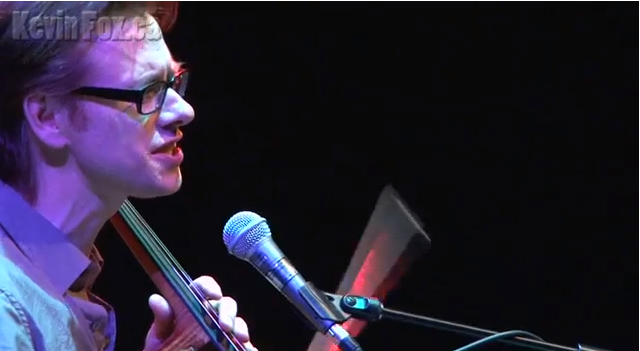 Since we’re in the mood, today’s bonus coversongs feature other cello players from the folkworld: newcomer Ben Sollee and his amazing Sam Cooke cover, and a cut from Fiddlers 4, a wonderful neo-appalachian quartet from some of the best genre-crossing string players in the business, featuring none other than Rashad himself on the low notes. Plus a youtube link for a great, spare solo cover by young folkcellist Lindsay Mac, who will also perform at Falcon Ridge this year. Further reading: Folk tastemaster Songs:Illinois has two MORE Crooked Still songs: one from Still Crooked, and one from Hop High.